Pinnola & Bomstein represents various parties in residential and commercial real estate litigation in the five-county Philadelphia metropolitan area. We bring and defend actions on behalf of those with a legal stake in the outcome — homeowners or homebuyers, businesses and partnerships, developers and builders, and neighbors and relatives. Trial lawyer Mike Bomstein brings over 40 years of experience in real estate litigation and transactions. He has resolved simple title irregularities and complex, multi-party disputes involving millions of dollars. 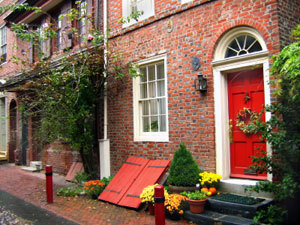 Contact Pinnola & Bomstein, with offices in Philadelphia and Elkins Park, to arrange a consultation with a real estate dispute or real estate litigation lawyer. A small dispute can easily turn into full-scale real estate litigation if your attorney is inexperienced or too heavy-handed. Pinnola & Bomstein provides responsive client service and dependable legal counsel to find cost-effective, efficient resolutions that allow parties to go their separate ways. Read these case histories of how our representation made a difference. A Quiet Title Story — Mick and Terri Page need help to correct a deed’s legal description. Barb's Case — Barb and her husband purchased a home jointly with a family friend. After a falling-out, they face sticky legal issues in dividing the asset. Ben's Story — Ben needs urgent help to avoid foreclosure on the apartment building he has owned and maintained for 30 years. Don’s Story — Don needs help on a questionable deed transferring property. Your situation is unique, and Pinnola & Bomstein wants to help. Contact us today at 215-592-8383 to speak with an experienced attorney and make Pinnola & Bomstein your real estate litigation law firm. We also represent individuals and businesses in real estate transactions involving the purchase or sale of properties in the Philadelphia area.